So, it’s not that I don’t know what Tumblr is. It’s just that I never had any real reason to create a Tumblr blog site. But this weekend (Thanks, Greg! 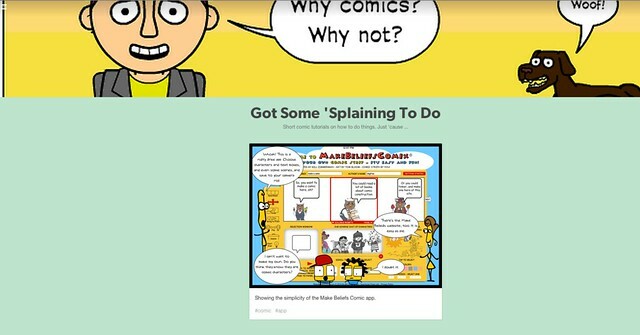 ), I took the plunge and began a site called Got Some ‘Splaining to Do where I will share out comic-style tutorials for apps and technology that I use. I won’t guarantee that it will be all that regular, but as I work within Walk My World and YouShow projects, I figure it can be a resource/portfolio of some of my work. 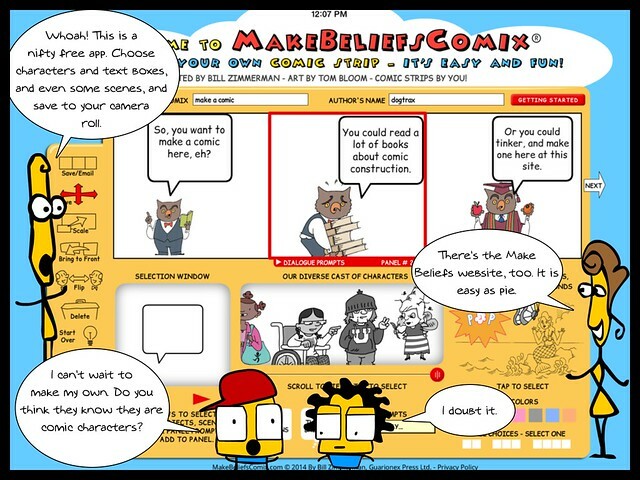 You will see this as a recent post, as I share out using the free Make Beliefs Comix app on the iPad. It’s nifty, free (I said that, right?) and fun, with some limits. This entry was posted in comics, Tumblr, Voices on the Gulf, Walk My World, YouShow. Bookmark the permalink. This has made my week, Kevin! Can’t wait for you to share your comic expertise. My students will love your posts too. I like comics, Kevin. I think I’ll try this. Thanks.